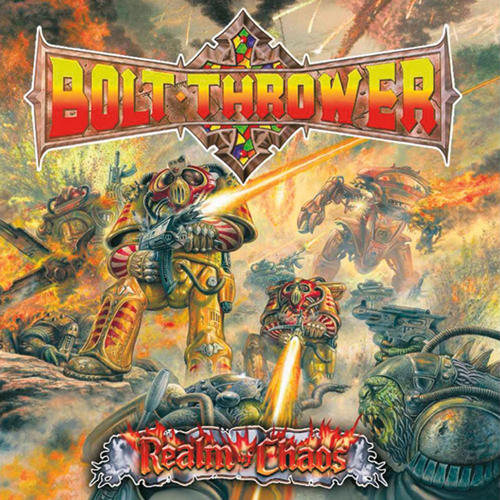 The second album from British death-metal band Bolt Thrower. Originally released in 1989, the album is closely tied to Warhammer 40,000. Realm of Chaos displays a progression from its previous output in speed and riffage. There is a strong focus on blast beats in many of the songs, with chaotic guitar soloing, common in grindcore. Nevertheless, the signature heavy riffing is also apparent. Thus, this is usually considered a death metal album.